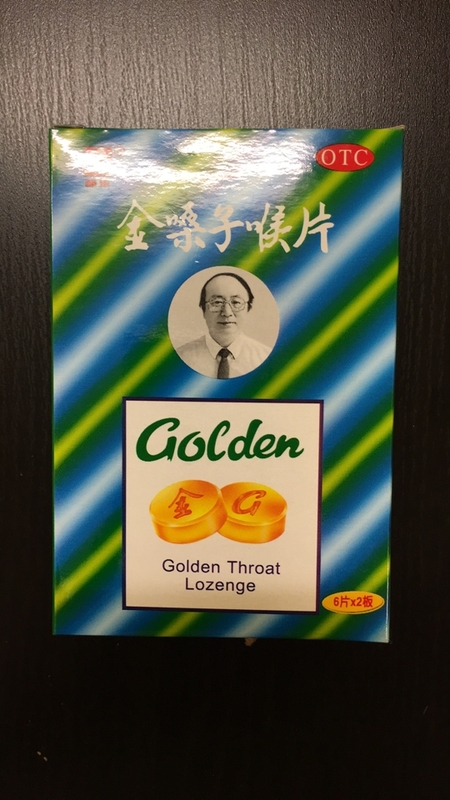 Golden Throat Lozenges are made from herbs such as Chinese White Olive Fruit and Grosvenor Momordica Fruit, which have the ability of clearing the throat. They also help to relieve sore throat, halitosis and upper respiratory tract discomfort without side effects. 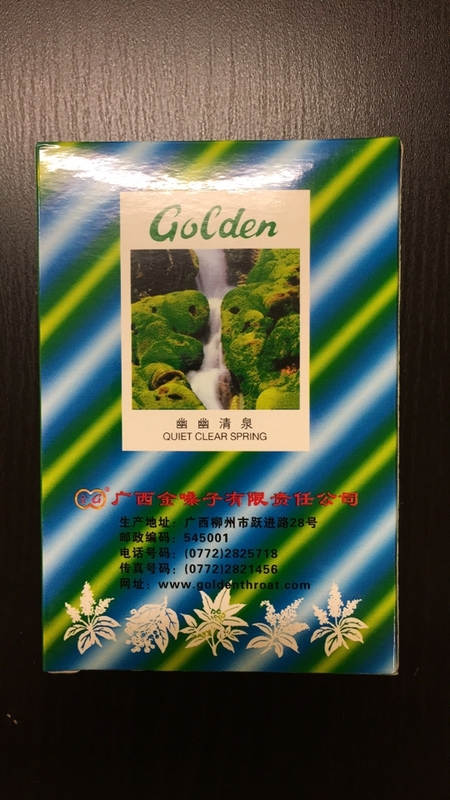 Ingredients: Menthol, Honeysuckle (flower) [jin yin hua], Chinese Olive (fruit) [xi quing guo], Grosvenor Momordica (fruit) [luo han guo], Red Tangerine (peel) [ju hong], Eucalyptus (oil), Aniseed (oil), sugar, liquid dextrose. 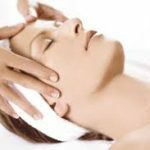 These statements have not been evaluated by the Food and Drug Administration. This product is not intended to diagnose, treat, cure or prevent any disease. Herbal throat lozenges made with fruits and herbs. Soothes sore & swollen throat, minor irritation, hoarse voice, halitosis, acute laryngitis & acute pharyngitis. Temporarily relieves sore throat and coughs due to colds or inhaled irritants. one drop at a time, up to 6 drops daily.